Numbers and letters emerging from the dreamlike realms of the unconscious mind. It is more than likely that you are intimately familiar with the Latin alphabet, not only is the following article created using its characters but so to is the vast majority of all written work created every day on this planet. 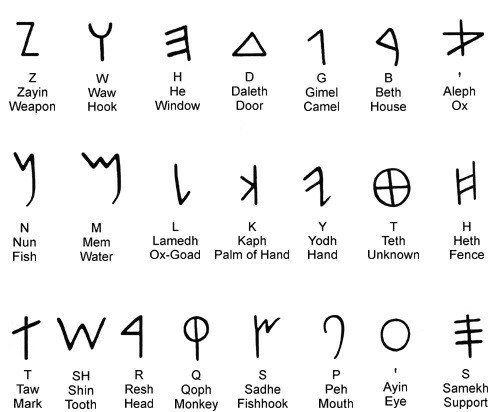 What might surprise you is that there exists compelling evidence that this alphabetic system may originate with ancient symbolic archetypes of the unconscious, having strong connections to hyper-dimensional physics. 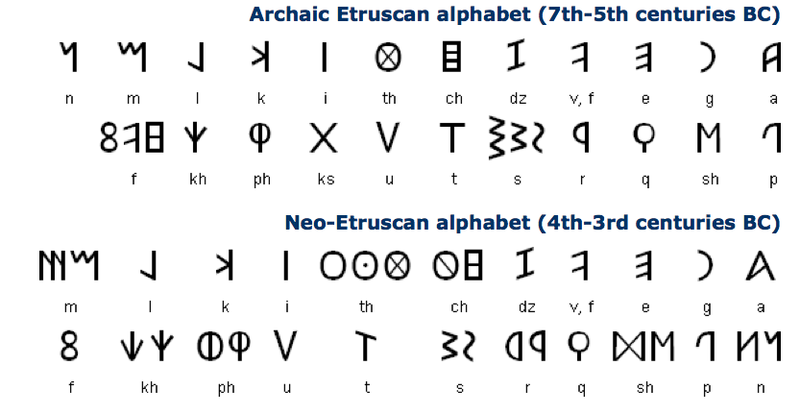 The history of the modern Latin alphabet is generally traced back to one of the earliest known writing systems, Phoenician, a phonetic system (individual letters symbolising singular sounds) which arose over 3000 years ago. Over that time it evolved down a number of divergent pathways, giving rise to other alphabets such as that of the Hebrew, Etruscan and Greek systems, among others. The 22 individual letters changed form over time, some were replaced and indeed completely new additions were made. Though the evidence for a Phoenician root to Latin is compelling not all of the letters would be recognisable to us today, not by any stretch. The ancient Latin script, which is most certainly the root of the modern alphabet, arose around 2700 years ago as a blend of ancient Greek and Etruscan. Over the centuries that followed the system continued to evolve towards the Latin alphabet now known to the modern world. Thanks to such forces of globalization as empire building, international trade and more recently mass media, almost every human being alive can at least recognise the standardized 26 letter version of the Latin alphabet, even if those that do not themselves write with it. Dark green areas use the Latin alphabet primarily, light green areas use the Latin alphabet alongside other systems. Many areas shaded grey have some level of use of the system. With current estimates of over 70% of people, spread across the majority of the world’s nations, now using this alphabet primarily or secondarily it is truly a universal writing system without comparison. Many nations that do not officially use this system still have widespread internal use for some purposes or in some areas of society. It seems very realistic to speculate, especially with the growing international popularity of the English language, that by the end of the next century every nation will teach this system at least as a secondary alphabet. Well that is a whistle stop tour of the history and spread of this alphabetic system but what interests us here is the more mysterious aspects of the letters and how they might be somehow linked to the Jungian psychological theory on a collective human unconscious or some strange higher dimensional physics. Carl Gustav Jung is a giant of psychological research and theory, only equalled in fame by his contemporary and rival, Sigmund Freud. It is perhaps best to let him describe his theory of the collective unconscious in his own words. In this theory much of human culture and behaviour is to some degree pre-programmed at an unconscious level, rather than being truly created by us, these aspects arise from deeper within from a level of consciousness that is holistic in as much as it unifies all human beings at a deep unconscious level. This collective unconscious is sometimes described as being rather like a great library that we borrow information from and find inspiration within. Technically, we can even say that though it is unrecognised by our conscious minds many great aspects of humanity, the arts, religions, languages and even our dreams, have gradually taken their shapes due to invisible driving forces from the unconscious levels of mind. If then we take this notion seriously, as indeed a great many philosophers, scientists and psychologists already do, we need to identify the symbols that may serve as the archetypes for this modern and increasingly universal writing system. At this point there are three that strongly stand out as worthy candidates, in fact potentially they may merely be variants of one core ancient archetypal symbol. Flower of Life, Haggel rune and Metatron’s Cube. The given names for these three ancient symbols are, from left to right, the Flower of Life, the Haggel rune and Metatron’s Cube. The precise ages of these symbols are unknown, but each is thousands of years old. The Flower of Life is found seemingly burned into rock at Abydos in Egypt, dated to at least 6000 years in age but with some claiming it may be several millennia older. Ancient or very old examples of this engraving are found in as disparate locations as China, India, Egypt, Israel, Turkey and Spain. Though Haggel is suspected to be a more recent rune, younger than two millennia in age, solar symbols of the same style have been identified in ancient cultures such as that of the Sumerians. Metatron’s cube is generally seen as a very ancient derivative of the Flower of Life symbol or close relative. In terms of sacred geometry the three have very apparent overlaps and likely do share a common origin in human consciousness at a very ancient point in time. They also provide a great deal of mathematical and geometric information, especially relating to the Platonic Solids, much of which is at the core of modern sciences but having travelled via ancient alchemy to get there. Symbols with highlighted lines to draw attention to the hidden cubes. Each of the symbols can be shown to potentially contain a primary cube and a secondary inner cube, this form in known as a Tesseract (from Greek meaning fourth ray) or n-dimensional hypercube, this is a geometric figure in four or more dimensions that is analogous to a cube in three dimensions. Without going too deeply into the subject of sacred geometry we can already get the sense that these symbols have very deep connections to the structuring of the fabric of our reality. We find similar patterns occurring in a number of interesting places, it is worth exploring one or two quick examples before moving on. Recorded sound wave patterns show distinct similarity to ancient alchemical symbols. We can see intricate hexagonal patterns with overlapping internal features to our sacred symbols amongst the structures produced by sonic vibrations passing through matter, the name for this area of research is cymatics. An individual silicone crystal molecule, a magnified image of crystal molecular growth pattern and a diagram of crystal molecules in sequence. We also see related structures in the microscopic world of silicon crystal molecules and in their spiral growth patterns. Out of the three structurally related ancient symbols discussed, it is Haggel that seems to have the most notable visual connection to our universal writing system, the Latin alphabet. Keep in mind here that Haggel is known as the Mother Rune and that it is commonly claimed by rune readers that all other runes derive from its form, it is associated with the matrix of creation, gestation, birth and evolution as well as linked to the number nine. It was several years ago that something about the structure of this rune prompted me to a simple thought experiment, I tested as to whether the letters of the alphabet and also our numbers could be replicated using only the existing three lines central and the hexagonal border of the symbol. The results of this experiment surprised me. See what you make of it for yourself. Latin alphabet letters and the commonly used Hindu-Arabic numbers depicted using the existing lines of the Haggel rune. I was very surprised to find that each letter and number could be drawn in easy to recognise forms, in some cases there would be more than one way to draw the same letter by this method. Equally the numbers were a good fit despite the fact our number system has a different historical origin to our letters, being an Indo-Arabic counting system. I think most people will agree that you don’t have to stretch your brain to recognise any of them even if they are not exactly as we would draw them freehand. What is to be made of this peculiar finding? Perhaps nothing more than that funny coincidences happen anywhere given enough time. Certainly I don’t believe that people have deliberately guided the evolution of these writing and numerical systems so that one day all of the characters would fit into the Haggel matrix. Nor do I believe that the known history of the Latin alphabet offers any clear explanation for the puzzle, runic systems may have influenced this form of writing but they remained distinct from it, having their own very separate developmental history. 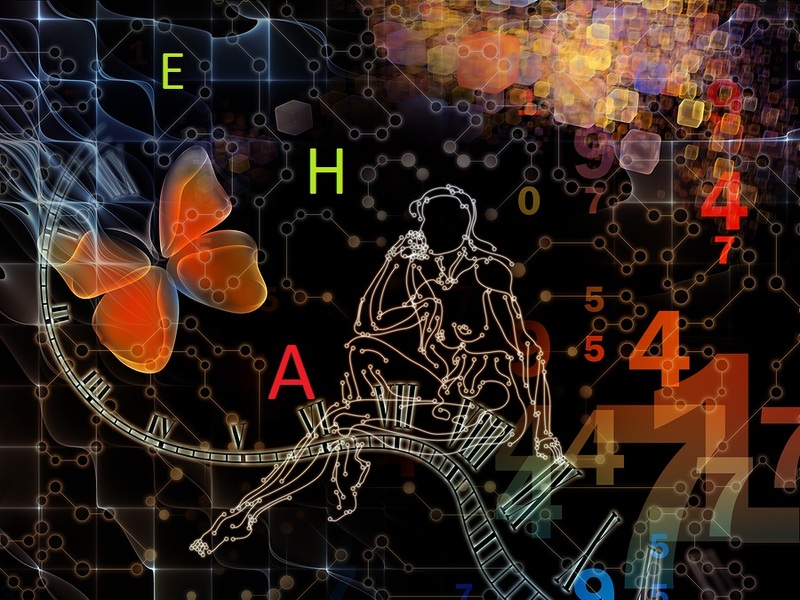 The most intriguing possibility, no matter how slight it might be to the logical mind, is that somehow humans have, quite unconsciously, guided the gradual evolution of a psychically pre-destined universal writing and language system. That through the mechanisms of the unified unconscious, theorised to exist by Jungian psychologists, the individual characters have gradually been vibrated into line, slowly converging on forms arising from a central ancient archetypal symbol. That the Haggel rune can be comfortably seated within the Flower of Life, a symbol long held in highest esteem by alchemists, philosophers and many great thinkers (including Leonardo Da Vinci), certainly leaves one with the strange sense that just perhaps there is indeed an unseen mechanism of human consciousness at work behind this ‘funny coincidence’. all human alphabets have “murky” origins , except well documented appearance of so called Russian , “grashdanka” alphabet, introduced by two monks , “Cyril and Metody”, in about 9 century AD. It came through southern Europe, Greece, Bulgaria to Ukraine and Russia. It came from minds of that two monks, to support Universal Plan as usual ways and its good example….9 Century, all over Europe, Latin alphabet was in use, in Poland on border with eastern Russia…question is : is was the need to introduce something else and different ? ask Universal Plan keepers : Vedic Sadgurus…. Hi, I read this with great interest. I made similar observations back in the 90’s and published them in 2010, in my work Rune3Master – Into The Depths. I’ve no idea what feedback you’ve received from this article, but it’s refreshing to see someone else approach this fringe topic. As I understand, the geometric model you have chosen to reproduce your runic and alpha symbols is ‘hexagonal’ in nature. From my experience, these flat 2D letter-forms are actual 3D objects based upon the hexahedron or cube. Wheather tangible or not, these multidimensional objects can be rotated to produce other well known letter-forms. To illustrate this, I have an App that is free to download in Apple Store. This process I call shape-shifting – the transformation of one ‘letter’ into another by way of rotation, and I can prove this procedures was deliberately used to create runes. I agree Sacred Grometry does underly the runes and many pre-runic scripts, like the Venetic script ( c. 500 BCE ), but from the evidence I have gathered, I believe the whole process of creating letter-forms was a deliberate conscious act. If you are interested, I’ve include two links, one for the book and another for the free app. Kind regards Brad. Thanks Brad, sounds really interesting, good to hear I am not the only one thinking about this!